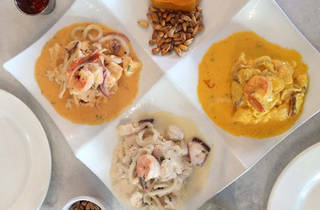 It's been nearly a decade ago since chef Juan Chipoco brought authentic, upscale Peruvian food to downtown Miami (when most of the dining options in the area were hot dog carts and Cuban cafeterias) and diners still can't get enough (judging by the insanely long valet queue on weekends). 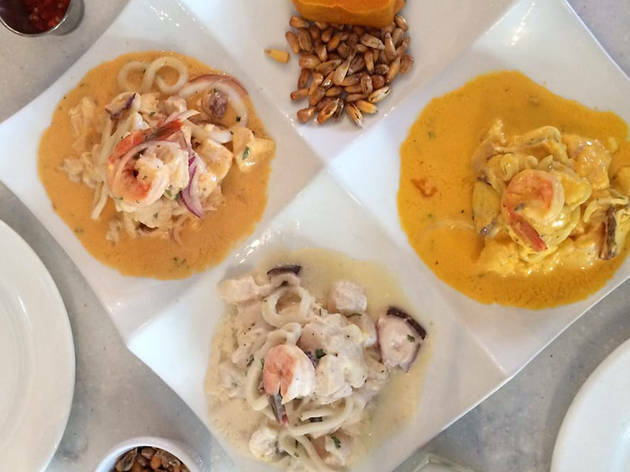 Per the name, the restaurant excels in expertly made ceviches, which are made to order and can be dressed in all sorts of traditional sauces—from the tangy leche de tigre to the spicy rocoto pepper style. As for entrée selections, the menu sticks to the classics with dishes such as aji de gallina and lomo saltado, which can be topped with a fried egg upon request (do it!). The all-white dining room and opulent fixtures give off a Marie Antoinette vibe but, thankfully, service isn't snooty or French-like for that matter.